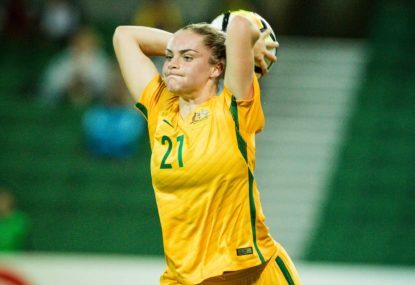 There’s plenty on the line for the Matildas at this year’s Asian Cup, which started on April 2 and will conclude on April 22. Eight nations are competing – Jordan, Japan, Australia, China, Korea Republic, Thailand, Vietnam and the Philippines – with the top five earning automatic entry into the 2019 FIFA World Cup in France. 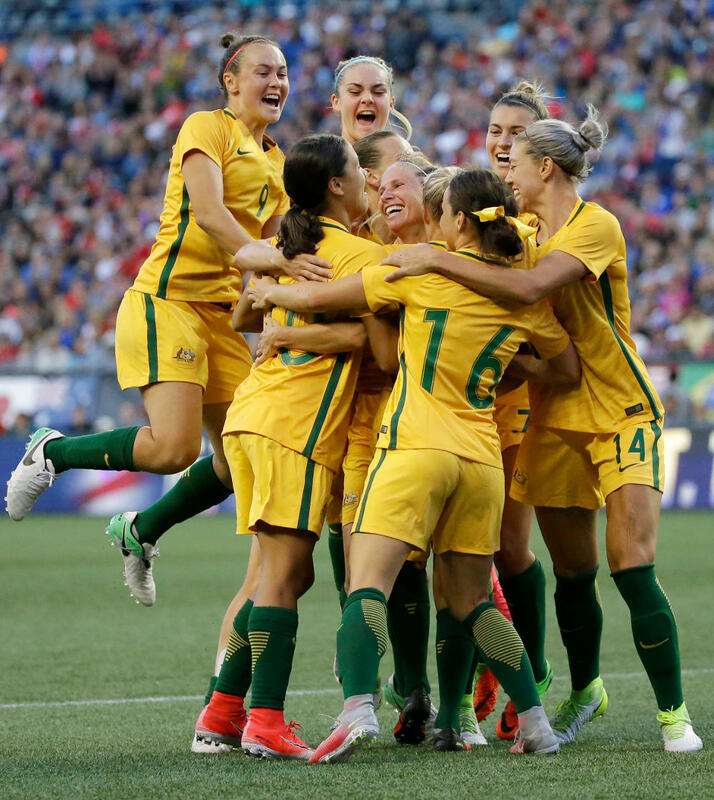 Heading into this tournament, there was plenty of expectation surrounding the Matildas, and rightly so. 2017 was a breakout year for this team, not just on the field, but also with the Australian public. In 2017, they won the Tournament of Nations, beating the USA for the first time ever in the process. 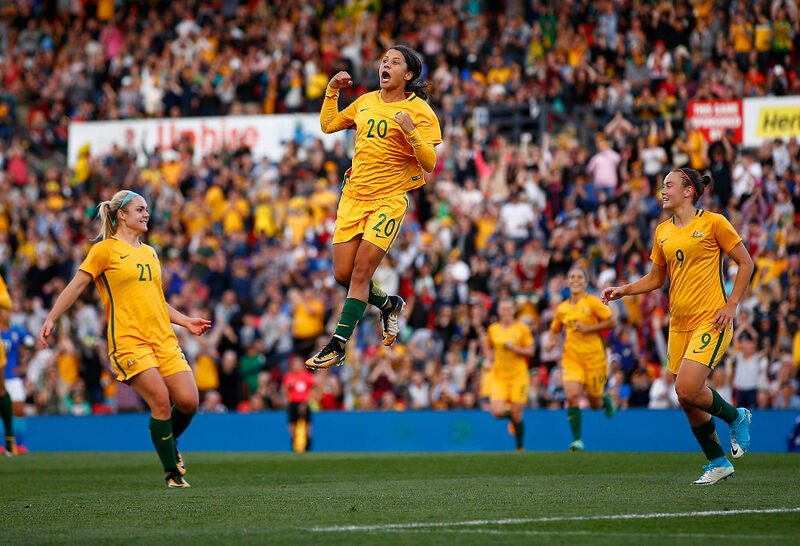 Sam Kerr was the football player everyone recognised. She was named Young Australian of the Year and her trademark backflips graced the front covers of newspapers across the country. They also played in Australia throughout November in front of soldout crowds, with home attendance records being broken over and over – first in Penrith, with 15,089 people in attendance, and then 16,829 watched a victory over Brazil in Newcastle just days later. The year ended with the Australia reaching fourth on the FIFA World Rankings – their highest position ever – trailing just behind the USA, Germany and England. In a year where football in Australia needed a beacon of light, the Matildas came and lit up the country. Going into the Asian Cup ranked sixth in the world, they were favourites to emerge as champions. However, their campaign started frustratingly, with a 0-0 draw against the Korea Republic – the thrid time the two nations have played out such a scoreline. The had plenty of attacking opportunities – Kerr had four shots and also created two goal-scoring opportunities for her teammates, while Kyah took a late shot at goal – but failed to convert any. During the mtach, Korea looked content with a draw, with their sole shot at goal occurring in the 93rd minute, courtesy of Lee Young-Ju (Korea Republic took a similar approach against Japan, which also ended in a 0-0 draw). Any concerns following that result were dispensed with, following an 8-0 demolition of Vietnam earlier this week, as seven changes to the team made an emphatic difference. It was great to see Ellie Carpenter and Alex Chidiac start – they are two of my favourite Australian players and with Carpenter being 19 and Chidiac just 17, we should be watching them in green and gold for years to come. There were a couple of standout moments in this game. Chloe Logarzo scored her fourth goal for the year and now sits equal with Kerr for the most goals this season. Speaking of Kerr, she also scored two goals, which means that she has found the back of the net 15 times in her last 13 internationals – managing at least two goals in five of those games. This was the team’s biggest win since they beat Vietnam 9-0 in March 2018. As an aside, this fixture saw them score more goals than in their last five internationals combined! As a result, Australia is now ahead of Japan on goal difference, setting up a key clash between the two teams tonight, at 11.45pm (AEST). Getting one point out of this game ensures Australia has a spot in the knockout stages, confirming them qualification for next year’s Wold Cup. Quite the rivalry is developing between these two teams. While the Matildas beat Japan at the Tournament of Nations and in Japan for the 2016 Rio Olympic Games qualifiers, in the five years prior to that, Japan were dominant. I’ll definitely be staying up to watch this one. Some of my favourites performances at the Commonwealth Games this week include Kathryn Mitchell winning gold in the javelin, after waiting over a decade to a win a major senior international medal, Bronte Campbell beating sister Cate in the women’s 100-metre freestyle to take home the gold medal, and Isis Hold winning the women’s T35 100-metre sprint in a time of 13.58. Holt adds this gold to her four world titles, two Paralympic silver medals, and one bronze – all at age 16. But my highlight was Claire Tallent demonstrating extraordinary sportsmanship following her disqualification in the 20-kilometre race walk. In a flashback to Jane Saville at the Sydney 2000 Olympics, with just two kilometres left in the race, Tallent was disqualified, receiving her third and final red card from the judges for lifting both feet off the ground. Visibly distressed, Tallent collapsed to the ground. Despite her disappointment though, Tallent was still waiting at the finish line to congratulate friend and teammate Jemima Montag as she crossed the line to win gold. These are exactly the sorts of stories of Australian sportsmanship that I want to read about.